Established in 1964, by the way one of the best vintages of the 20th century in France and Spain, Bodegas Heredad de Baroja, located in the village of Elvillar, Rioja Álava (South of the Basque country), was born from the initiative of its current owner, Fernando Meruelo, who named it after a famous Spanish Basque writer. He started by producing young wines (tinto) under the name of “Cautivo” and gradually enhanced his “Cautivo”selection by crafting Crianza, Reserva and Grand Reserva as the vines were getting older, thus producing better, richer, more complex wines. Exporting activities started in 1989 and now represents more than 50% of his production and total sales. The construction of a new cellar and winery, the success of the newer style wines “Cautum” and “Lar de Paula” and revamping the image of his more traditional style “Cautivo” wines led to a new era for Heredad de Baroja. 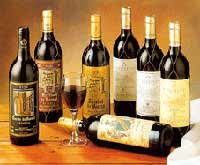 His wines, especially the newer modern style received instantaneously a lot of praises and accolades from critics and press. Now equipped with state of the art technology in both facilities, the old and the new cellars, will also help to achieve the goal of selling about 2 million bottles a year, of which half will be high-end wines ageing between 14 to 36 months depending on the final wines. The company went from roughly 400,000 bottles at the beginning to more than 4 times more nowadays. The winery portfolio comprehends wines like the classic "Rincon de Baroja" (and "Heredad de Baroja"), which I previously wrote about and which is part of his fairly new wine selection that includes: Cautum "Alta Expresión", Lar de Paula "Cepas Viejas", Rincon de Baroja CO2, Cautivo Maceración Carbónica; as well as the new labeled Cautivo brand and Cautum. first, it is nowhere to be seen on the winery's website which seems to focus only on the two more modern brands named "Cautivo Gran Reserva" and "Cautum Gran Reserva". secondly, the wine bears a classic Rioja label with the famous and unmistakable netting around the bottle (and reddish-gold lettering), which is a classic sign of old traditional Rioja wines, usually more commonly attributed to wine like Marqués de Riscal (odd if you compare it with their newer modern labels). Experiencing a renaissance to please younger markets, they must have revamped their entire label portfolio compared to what it used to be before (see picture below for previous labels). thirdly, not only it looks but also it tastes much more traditional than their other labels, especially compared to "Cautum Gran Reserva". The 2001 Heredad de Baroja Gran Reserva is, in my opinion, a delicious Tempranillo based wine that offers layered complexity and classic aged Rioja aromas and flavors at a very decent price for a Gran Reserva and more especially for a 2001 vintage which was, in Rioja, surely one of the greatest vintage of this decade. Made from 100% Tempranillo aged for 36 months in French and American oak barrels, then 24 months in bottle before release, the 2001 Heredad de Baroja Gran Reserva possesses a medium garnet color with hint brown-orange reflects on the rime. At first a bit discreet, it evolved after about an hour in the decanter. The nose is quite expressive with ripe red and dark cherry fruit aromas intermingled with slightly earthy, spicy, chocolaty toasted notes, touch of vanilla, cedar wood and secondary hints. The palate opens with great juicy dark cherry and other dark fruit flavors combined with chocolate, spice, toast, wood and earth, and some underbrush notes. As it expands, it is rather smooth and medium-to-full yet a bit dry, earthy and somewhat a touch rustic, but overall attractive and fairly complex. Fairly integrated and definitely approachable yet young and promising with a good texture and overall balance, it seems to be supported by fine fruit tannins that are a bit dry and still need a bit more time (which is nothing strange for this particularly great vintage). In short, some may find the finish a bit dry or even a touch short, yet I thought that it had an elegant, lingering earthy cedar cherry finish where the acidity and the tannins were playing key roles. Overall, I was pleasantly surprised and found this wine very satisfying under $30, but there again I love my traditional Rioja wines, which are for me some of the best wines in the world (but you must already have discovered that if you read some of the other Rioja articles that I previously wrote my wine blog). Enjoy with beef burgers, steaks, rack of lamb or grilled lamb chops and other hearty meats.